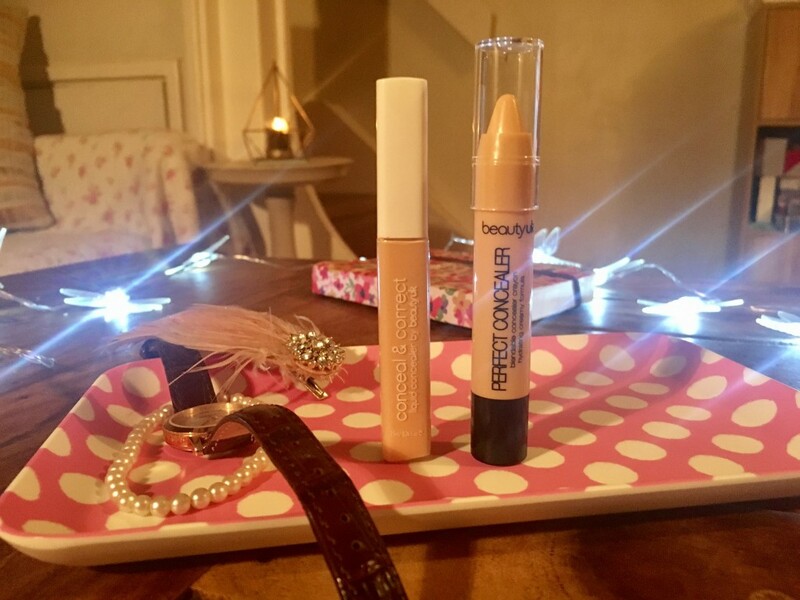 Today, I thought that I would share my thoughts on the two concealers I was sent – Conceal & Correct and Perfect Concealer Crayon, both in light. 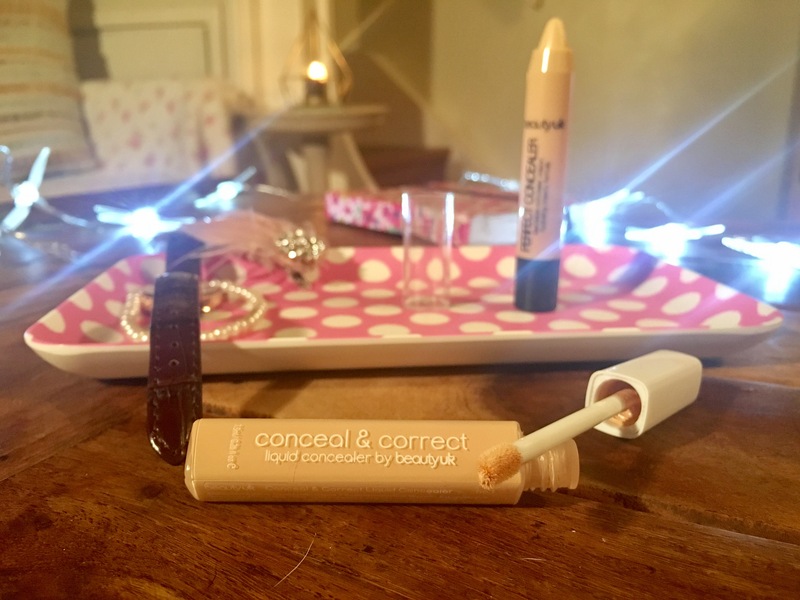 The first thing I noticed about Conceal & Correct was the fact that the formula is very lightweight and wonderfully creamy. Because of this, a little tends to go a long way – at least, that’s what I found. The wand has a soft flexible tip that’s ideal for dotting concealer wherever you need it. The only downside to the wand is that it picks up a little too much product, meaning that before applying it to your face it’s best to tap off the excess back into the tube. 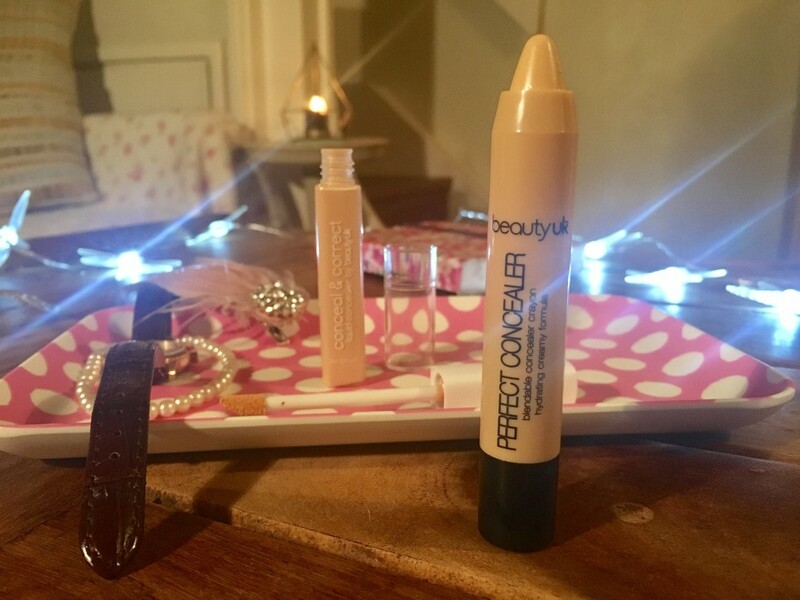 I’ve always been a fan of cream concealers, so until testing out Beauty UK’s Conceal & Correct, my experience of liquid concealers was somewhat limited. However, to up my knowledge of this type of concealer, I hit the beauty counters at my local Debenhams. After testing out a few different concealers, I came to the conclusion that Conceal & Correct is very good value for money. In terms of consistency and coverage, it rivals Urban Decay Naked Skin Complete Coverage Concealer – a concealer that costs a whopping £17.50. I’m one of those unlucky people who is prone to dark circles under my eyes. I’ve always found that very few concealers actually manage to cover them, but was pleasantly surprised when Conceal & Correct provided fantastic dark circle coverage. It also works well at covering any red areas – I’m also prone to having constantly flushed cheeks. I found that just a couple of dots of product is enough to conceal both dark areas and redness, and tends to last all day. It doesn’t go cakey or clumpy, it blends seamlessly and sits perfectly on the skin. As I mentioned above, cream concealer has always been my go-to – I’ve lost count of the amount of cream concealers I’ve tried. I’ve always been a fan of cream concealers because of how easy they are to use and apply, and also because of how long-lasting they tend to be. 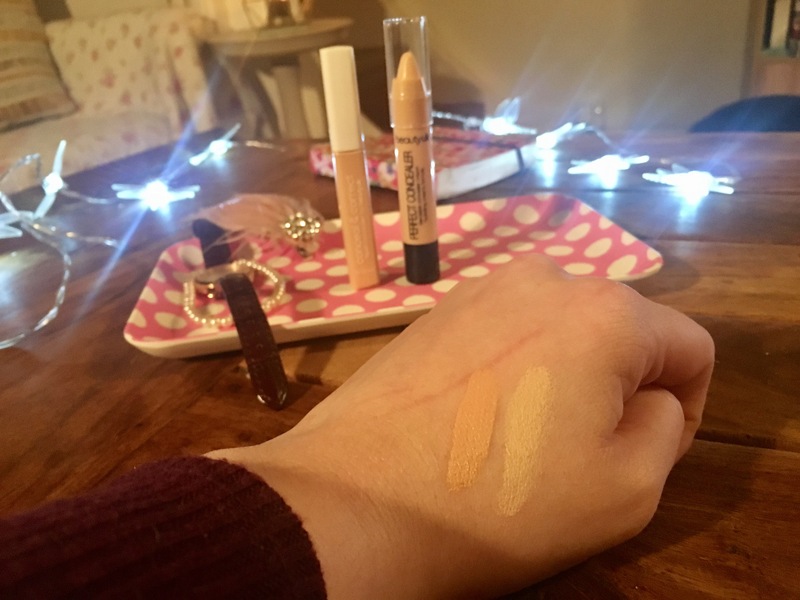 What I love about this twist-up concealer crayon is that it’s so easy to apply, and unlike a lot of other concealer crayons, is wonderfully creamy and blends like a dream. It does set fairly quickly, but not so fast that you have to rush to blend it. Because of how pale my skin is, I opted for the lightest shade of the Perfect Concealer Crayon. 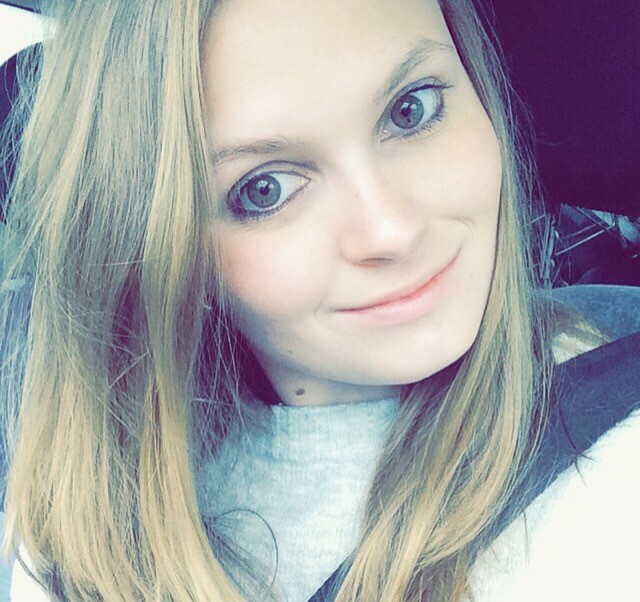 I wasn’t sure whether it would cover the dark areas under my eyes because of how light it is, but was pleasantly surprised to see that it is a fantastic for hiding my dark circles. Compared to a lot of other concealer pencils the formula of the Beauty UK Perfect Concealer Crayon is very lightweight. It’s not overly thick or heavy, it glides onto the skin seamlessly. Because of its creamy formula, I found that it’s ideal for dotting on while out and about to cover areas where my foundation has rubbed off. Unlike a lot of concealers it doesn’t cause dryness and doesn’t cake, making it ideal for touch-ups throughout the day. I’m a real fan of both of these concealers – they’re affordable, work well, and rival many high-end products when it comes to quality. However, if I had to pick a favourite it would definitely be Conceal & Correct. I just love the consistency, the lightness of the formula, and how effective it is – it was love at first sight!